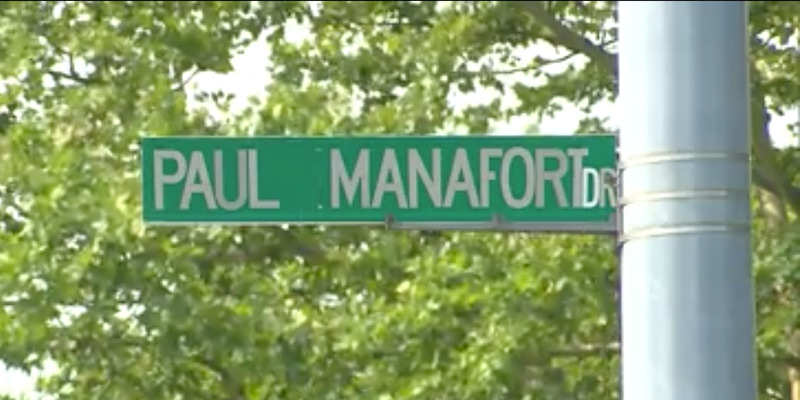 Some residents in New Britain are anxious to see “Paul Manafort Drive” renamed. The road is named after Paul Manafort Sr., the late mayor of the town who was the father of the former Trump campaign manager with the same first and last name. Many say that the road name brings dishonor to the town, since the younger Manafort is currently on trial for tax evasion. GettyPaul Manafort Jr. is currently on trial for tax evasion. 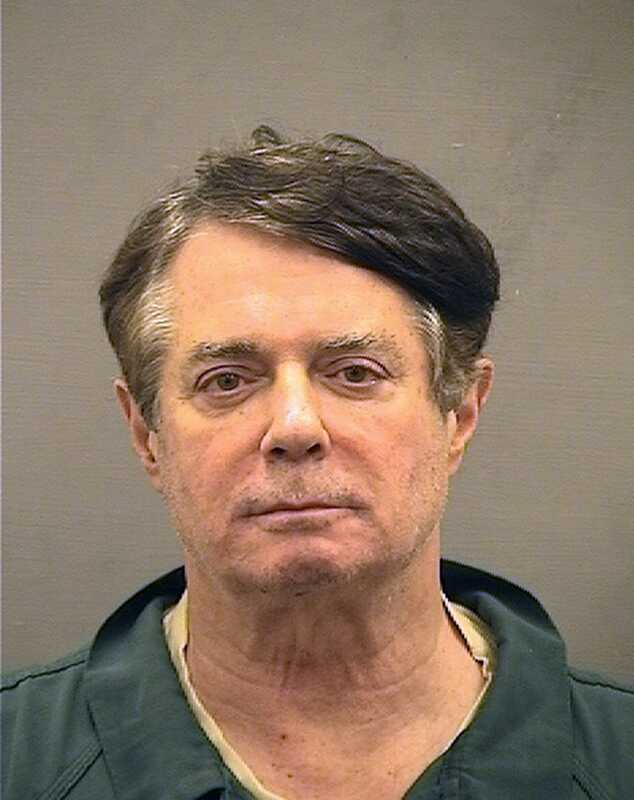 In New Britain, Connecticut, residents hear the name “Paul Manafort” not only in the news, but on their GPS as well. For months, a small but strong contingent of residents have been looking to rename “Paul Manafort Drive,” a half-mile road that runs through the campus of Central Connecticut State University. The road is not named after the former Trump campaign manager, but for his father, Paul Manafort Sr., a prominent local businessman who became the town’s mayor. He died in 2013 at the age of 89. The road was named after him in 1994. But as the younger Manafort is on trial as part of the special counsel’s investigation, many residents are fighting to erase the name from town. Last year, Dan Russell, who drove down Paul Manafort Drive nearly every day to get to work, started a petition to rename the street after George Springer, a New Britain native who went on to be a star player for the Houston Astros. That petition got over 1,500 signatures when it was sent to the city for consideration, but the plan was rejected. Mayor Erin Stewart, a Republican, told the Hartford Courant this week that she doesn’t want to punish the father for the son’s misdeeds. “Mr. Manafort served the city for a long time, he was a war veteran. You can’t control what your kids do and what they don’t – that doesn’t take away from the service that the father gave the city,” Stewart said. But others on the city council don’t necessarily agree. Majority leader Carlo Carlozzi Jr., a Democrat, told The Washington Post that he is open to the idea. Carlozzi said that he used to live near Manafort Sr. and ran into him often. While they differed politically, he said there was no question that he loved his community. However, the name is creating negative connotations for the community. “It’s something where it’s totally an embarrassment – New Britain being in the news because of this particular situation,” he said. The road sign has also been causing problems. Alex Kuzma, a Ukrainian-American activist from nearby Glastonbury, said he has organised four anti-Manafort protests on the road between April 2017 and November 2017. Before news outlets started reporting on the little-known street, Carlozzi said that he didn’t get too many calls from the public to change the road. While the mayor seems dead set against the idea, the council can still overrule Stewart’s veto if 10 of the 15 aldermen vote against her. But Carlozzi says it’s best not to jump to any conclusion just yet. “We can’t just make a policy decision on a whim. There’s a lot involved in that – we don’t want to be accused of making decisions the same way the White House makes decisions, sporadically and haphazardly,” he said.